"This is a course where the rough is thick after plenty of recent rain so it has to be encouraging that Moore was ranked 1st for Strokes Gained: Off-the-Tee at Sedgefield last week." I can't say I'm particularly interested in backing Ryan Moore at prices such as 25/1 or 33s although, to be fair, he did land the each-way cash at those odds with a T6 in last week's Wyndham Championship. But the 100/1 on offer this week does tempt me - especially with seven places on offer. Moore has been a force in these FedEx Cup play-offs before, most notably in 2016 when he finished T7 in this event, T8 at the Deutsche Bank and runner-up at the Tour Championship. Back in 2012 he reeled off a pair of T10s in the Deutsche Bank and BMW Championship before placing T3 at East Lake. The obvious downside - and explanation of his price - is that he's missed all three cuts at this week's course, Ridgewood. That's hard to sweep under the carpet but they were back in 2008, 2010 and 2014 so it's not as if they're three very recent failures. Ahead of this week's return, I like the way his game is trending. This is a course where the rough is thick after plenty of recent rain so it has to be encouraging that Moore was ranked 1st for Strokes Gained: Off-the-Tee at Sedgefield last week. He's ranked fourth for Driving Accuracy this season and also 24th in SG: Approach. "I'm a position player," he said after an opening 63 last week. "I keep it in the fairway pretty well, and that's what I did today. I had a lot of opportunities from the fairway and was able to hit a lot of greens because of that." Scrambling should be a key factor this week if past editions are to be believed and Moore is 20th in SG: Around-the-Green and got up-and-down 75% of the time at the Wyndham, ranking eighth. His putting stats don't make pretty reading this year but, again, he offered some encouraging words at Sedgefield: "I made a lot of the putts I should make. A lot of those kind of 10-, 12-footers, I haven't been making those this year, so it was great to see early in the round knocking a few of those in in a row and just got some good positive momentum." He should also like these particular surfaces given his noted preference for fast bentgrass greens. Moore ranked 1st on the All-Around at the Wyndham so his words meant something when he told reporters: "I would say every part of my game feels pretty comfortable." T6 last week, T12 at Carnoustie and T13 at both Memorial and Greenbrier, Moore has enough solid recent form to suggest he can outperform those huge odds of 100/1. One added incentive for Moore this week is trying to secure a spot on the Ryder Cup team. He's 28th so there is much work to do. The top eight are confirmed - Brooks Koepka, Dustin Johnson, Justin Thomas, Patrick Reed, Bubba Watson, Jordan Spieth, Rickie Fowler and Webb Simpson - and you only have to go down to 12th to find Xander Schauffele. Even if Tiger and Phil are locks for captain's picks, the other two spots are up for grabs and skipper Jim Furyk says there is enough experience on the team to make him consider Ryder Cup rookies. Schauffele's reputation for excelling in big events has to count for plenty and, of course, he defied expectations to win last season's Tour Championship. Alongside that you can put top sixes in the last two US Opens, second place in the Players Championship at TPC Sawgrass and a tied second in the Open Championship at Carnoustie last month when he had a genuine chance to win. 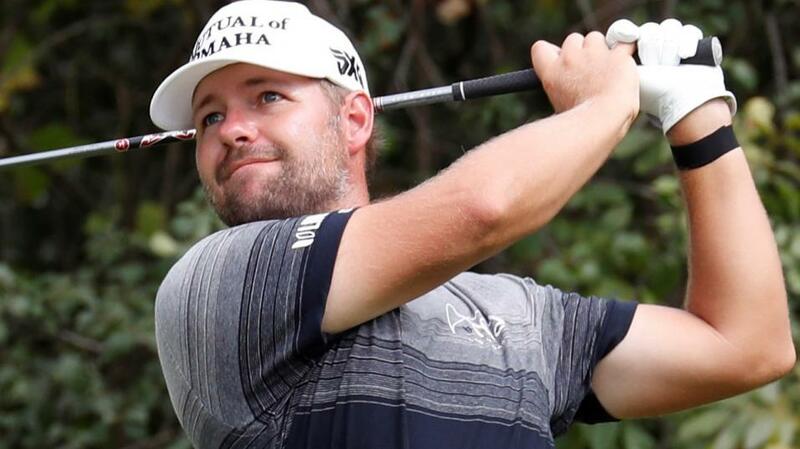 It was perhaps inevitable he should breathe out a little after that but he played some more fine golf in the US PGA, shooting a pair of 67s in rounds two and three to be T15 with 18 holes to play before running out of gas and settling for T35. It's a shame we didn't get Strokes Gained stats for Carnoustie as Schauffele's would surely have been impressive but at least we can look at Sawgrass and see that he gained 12.328 strokes Tee-to-Green (ranked 1st) and 6.455 Around-the-Green (2nd). He also has positive numbers across the board at Bellerive. In some ways, the 24-year-old is like Brooks Koepka in that he tends to play better when the elite gather although he doesn't really have an explanation: "I don't know. It might just be coincidence, but hopefully it isn't. We can manage to keep doing it. But I have no idea. I just have more fun at big events maybe." What is clear is that he's a fast learner so I have no fears that he's getting his first look at Ridgewood. The World No.17 was T17 in this event last year when Glen Oaks hosted and obviously he should love being back in this arena given that his last taste of the play-offs was winning at East Lake. As usual, he's being underrated and the 66/1 could look very generous. I have to say I'm also interested in Phil Mickelson at 80s given how well he performs in the New York/New Jersey area. In 2010, he said: "When you play a course like Ridgewood, Tillinghast design, it's hard not to love it. It's just a great golf course. It's straightforward. It's got the great character of Tillinghast instilled in his courses." Mickelson won the 2005 US PGA on Tillinghast's Baltusrol although he actually hasn't done much at Ridgewood, finishing T19 on debut but missing the cut in both 2010 and 2014. His game has looked a little off recently but top 25s are Firestone and Carnoustie were hardly a disgrace and we've seen him suddenly turn it on when the timing clicks in. Jason Day has to have a huge chance this week. He has course form of 2-5-31 at Ridgewood while his last three starts in New Jersey show a win and two second places. He's played some superb tee-to-green golf in recent weeks although hasn't quite been able to string it all together for four rounds. T10 at Firestone and T19 at Bellerive were ultimately disappointments. The problem we have is that he's just 12/1. Short-priced players have won this event in recent years but I can't quite pull the trigger. However, the 20/1 for Jordan Spieth does take my eye. It's a price play on one level as, traditionally, the three-time major winner just doesn't go off at these sort of odds. But I like it because there really are some great signs that he's ready to win again and Spieth usually marks our cards. T9 and T12 in the last two majors provide obvious evidence and, drilling down a level, he was ranked in the top six for Scrambling in both. And let's not forget he was the 54-hole leader at Carnoustie. The lack of a win since last summer's Open must clearly be bugging Spieth but plenty of past champions at this event - Reed, Mahan, DJ, Kuchar - were class acts without a win that season. For those players, perhaps there can be an extra drive to get the victory straight off the bat while others use this event to bed in before timing their run over the next three play-off events. I'd become a little sceptical of Spieth's musings about the state of his game and how we was always "close" but the numbers are backing them up now. His putting has definitely improved and he said after walking off the course at Bellerive: "All in all, made a lot of progress. Each day got a little bit better here. You know, minus a couple tee shots, I had a chance to win this thing with what felt like not my A-game. "The putting was phenomenal. I was probably top-5 in putting for the week (second in SG: Putting to be precise), which is great. It's been a long time since I've been there. And the rest of the game's moving in the right direction. "It was just really, really close to being precise enough to win this week. Good news is I've got a week off now to nail it in and feel like I stepped into the play-offs with my game in the best shape it's been this entire year." Spieth was T22 in his only start at Ridgewood in 2014 but saved the best until last with a closing 67 and his form at the time wasn't great - MC at the US PGA, 49th at Firestone and T36 at the Open. In conclusion, the 20/1 looks on the high side in this slightly limited field (120 go to post) when he looks ready to do something big.